Found the perfect track by Armin van Buuren to test the sudio REGENT’s capabilities, click play below if you’re wearing headphones to feel what I mean. I’m blown away by the really long lasting playtime, only having to charge it every few days. The fact that It’s wireless is a major plus too. I haven’t jumped up from my desk and dragged my laptop with me and a can get coffee while continue listening with the 10m bluetooth range. My kind of innovation. 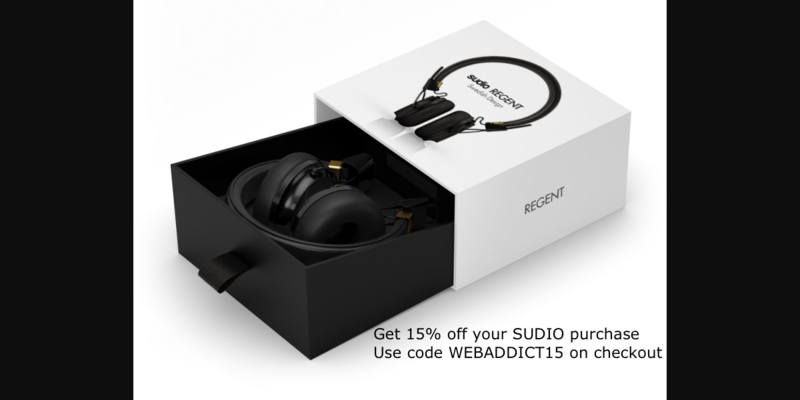 And the reason you’re here: A 15% discount on your sudio REGENT headphones purchase with code WEBADDICT15 on checkout!